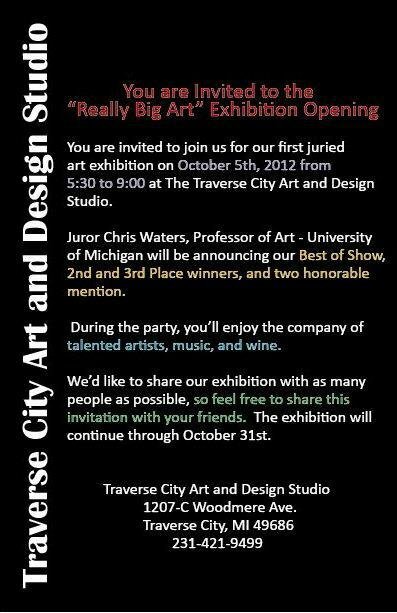 The Traverse City Art and Design Studio is holding their opening for the "Really Big Art Exhibition", this Friday, October 5th from 5:30 to 9pm. This is a juried exhibit featuring only large scale works of art. Two of my pieces from the Rhythms series were accepted into this exhibition and will be on display.